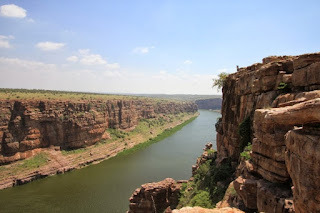 We are going to see the places to visit in Gandikota. In Telugu gandi means gorge and kota means fort. Gandikota found by Kapa Raja near by Bommanapalle village during 11th century. Gandikota places a significant role during the Kakatiya, Vijaya Nagara and Qutub Shahi periods. Situated between beautiful landscape, wild forests and endowed with large natural resources. Surrounded by a deep valley and impassable hills. Massive boulders of red granite and the river Pennar that flows about 300 ft.